Malware pre-installed on over five million Android smartphones - Play it safe for free! Disguised as a harmless Wi-Fi service, the hidden malware RottenSys comes pre-installed with millions of Android devices. During tests, a team from Check Point Research discovered that the service is a next-generation spyware that floods devices with ads. To achieve this, the malware requests system permissions to silently download additional components then used to display advertisements and to generate fraudulent ad-revenues. 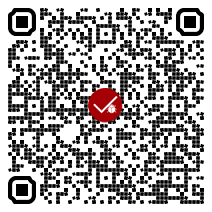 Ashampoo® RottenSys Checker quickly scans your device for the RottenSys malware. 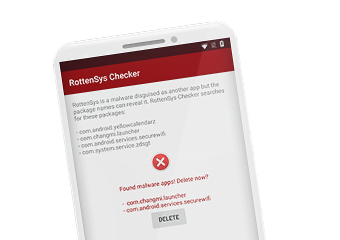 Based on information provided by Checkpoint Research, Ashampoo® RottenSys Checker quickly scans your device and lists all malicious software packages. The malware can then be completely removed with a simple tap. Check Point Research has traced the majority of infected devices back to the distributor Tian Pai. It is therefore likely the devices were infected prior to shipment. According to present knowledge, only devices directly imported from China are affected. That's why a wide range of different devices are affected. With over 700,000 infected devices, Honor has been hit the hardest, followed by Huawei, Xiaomi and Oppo. Even premium manufacturers like Samsung are affected, if only slightly. Check Point Research: "RottenSys is an extremely aggressive ad network. In the past 10 days alone, it popped aggressive ads 13,250,756 times (called impressions in the ad industry), and 548,822 of which were translated into ad clicks,"
It is estimated the attackers earned over $115,000 with RottenSys in the last 10 days alone.